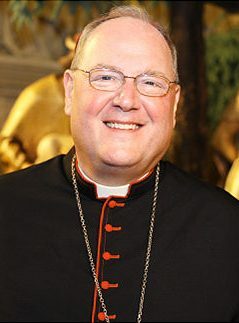 The USCCB has released a statement from Cardinal Dolan about the “compromise” offered by the administration on the HHS Mandate and contraceptive coverage. For almost a century, the Catholic bishops of the United States have worked hard to support the right of every person to affordable, accessible, comprehensive, life-affirming healthcare.As we continue to do so, our changeless values remain the same.We promote the protection of the dignity of all human life and the innate rights that flow from it, including the right to life from conception to natural death; care for the poorest among us and the undocumented; the right of the Church to define itself, its ministries, and its ministers; and freedom of conscience. Last Friday, the Administration issued a Notice of Proposed Rulemaking (NPRM) regarding the HHS mandate that requires coverage for sterilization and contraception, including drugs that may cause abortions.The Administration indicates that it has heard some previously expressed concerns and that it is open to dialogue.With release of the NPRM, the Administration seeks to offer a response to serious matters which have been raised throughout the past year.We look forward to engaging with the Administration, and all branches and levels of government, to continue to address serious issues that remain. Our efforts will require additional, careful study.Only in this way can we best assure that healthcare for every woman, man and child is achieved without harm to our first, most cherished freedom. On Friday, the Administration proposed to drop the first three parts of the four-part test.This might address the last of the concerns above, but it seems not to address the rest.The Administration’s proposal maintains its inaccurate distinction among religious ministries. It appears to offer second-class status to our first-class institutions in Catholic health care, Catholic education, and Catholic charities. HHS offers what it calls an “accommodation,” rather than accepting the fact that these ministries are integral to our Church and worthy of the same exemption as our Catholic churches. And finally, it seems to take away something that we had previously—the ability of an exempt employer (such as a diocese) to extend its coverage to the employees of a ministry outside the exemption. Second, United for Religious Freedom explained that the religious ministries not deemed “religious employers” would suffer the severe consequence of “be[ing] forced by government to violate their own teachings within their very own institutions.”After Friday, it appears that the government would require all employees in our “accommodated” ministries to have the illicit coverage—they may not opt out, nor even opt out for their children—under a separate policy.In part because of gaps in the proposed regulations, it is still unclear how directly these separate policies would be funded by objecting ministries, and what precise role those ministries would have in arranging for these separate policies.Thus, there remains the possibility that ministries may yet be forced to fund and facilitate such morally illicit activities. Here, too, we will continue to analyze the proposal and to advocate for changes to the final rule that reflect these concerns. Third, the bishops explained that the “HHS mandate creates still a third class, those with no conscience protection at all:individuals who, in their daily lives, strive constantly to act in accordance with their faith and moral values.”This includes employers sponsoring and subsidizing the coverage, insurers writing it, and beneficiaries paying individual premiums for it.Friday’s action confirms that HHS has no intention to provide any exemption or accommodation at all to this “third class.”In obedience to our Judeo-Christian heritage, we have consistently taught our people to live their lives during the week to reflect the same beliefs that they proclaim on the Sabbath.We cannot now abandon them to be forced to violate their morally well-informed consciences. Because the stakes are so high, we will not cease from our effort to assure that healthcare for all does not mean freedom for few.Throughout the past year, we have been assured by the Administration that we will not have to refer, pay for, or negotiate for the mandated coverage.We remain eager for the Administration to fulfill that pledge and to find acceptable solutions—we will affirm any genuine progress that is made, and we will redouble our efforts to overcome obstacles or setbacks.Thus, we welcome and will take seriously the Administration’s invitation to submit our concerns through formal comments, and we will do so in the hope that an acceptable solution can be found that respects the consciences of all.At the same time, we will continue to stand united with brother bishops, religious institutions, and individual citizens who seek redress in the courts for as long as this is necessary.